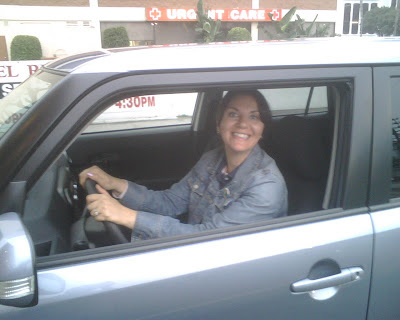 Left Coast Sachs: My New Ride!! Seconds after taking the keys from the dealer. Look at that grin! It's here!! It's finally here! 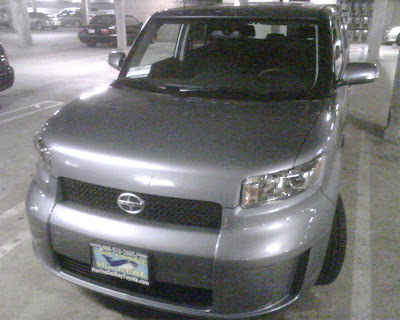 This is my brand new Scion XB in sting rey (color name). Isn't it beautiful? I LOVE IT!! Who wants a ride?